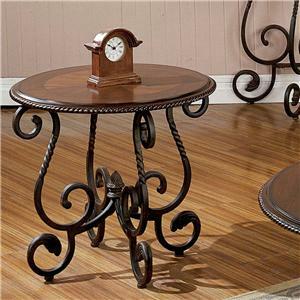 This round cocktail table will become a lovely addition to your living room. A solid wood top is featured with riveted edges. 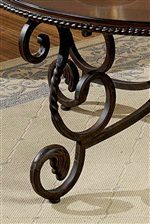 Scrolled metal base with cabriole feet is features to add a elegant appeal. 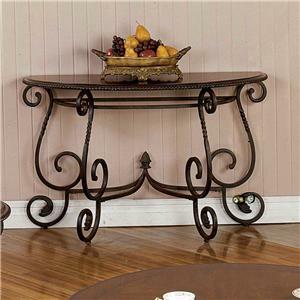 Place this table in the center of your living room to create a beautiful center piece and decorate with accent items. The Crowley Traditional Round Scrolled Cocktail Table at Morris Home in the Dayton, Cincinnati, Columbus, Ohio, Northern Kentucky area. Product availability may vary. Contact us for the most current availability on this product. 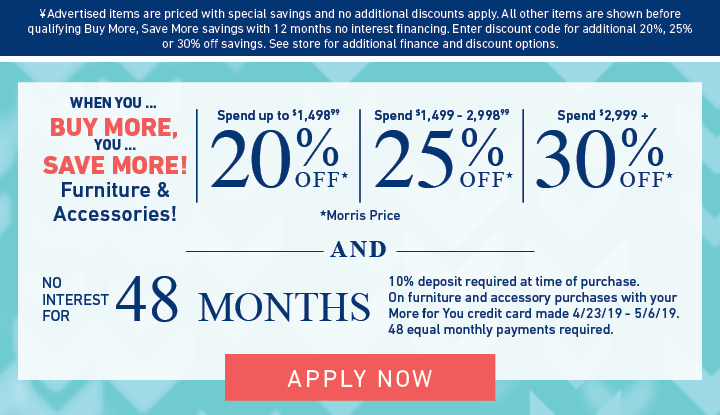 The Crowley collection is a great option if you are looking for Traditional furniture in the Dayton, Cincinnati, Columbus, Ohio, Northern Kentucky area. 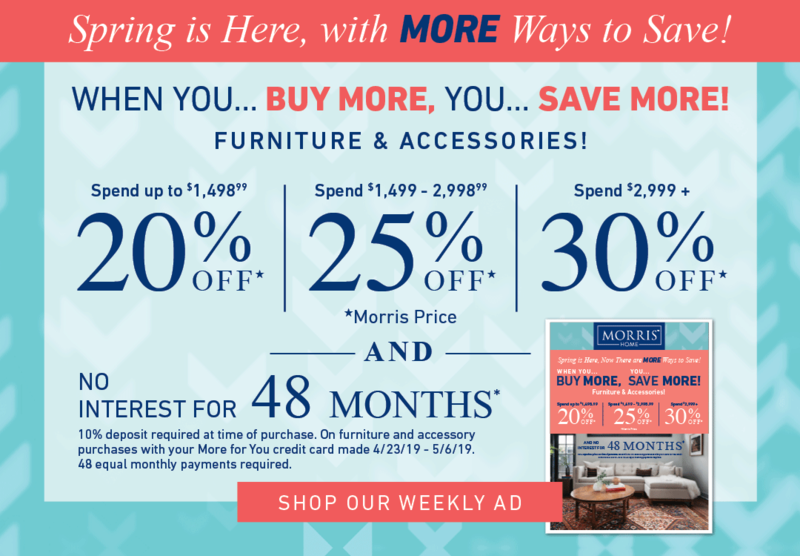 Browse other items in the Crowley collection from Morris Home in the Dayton, Cincinnati, Columbus, Ohio, Northern Kentucky area.